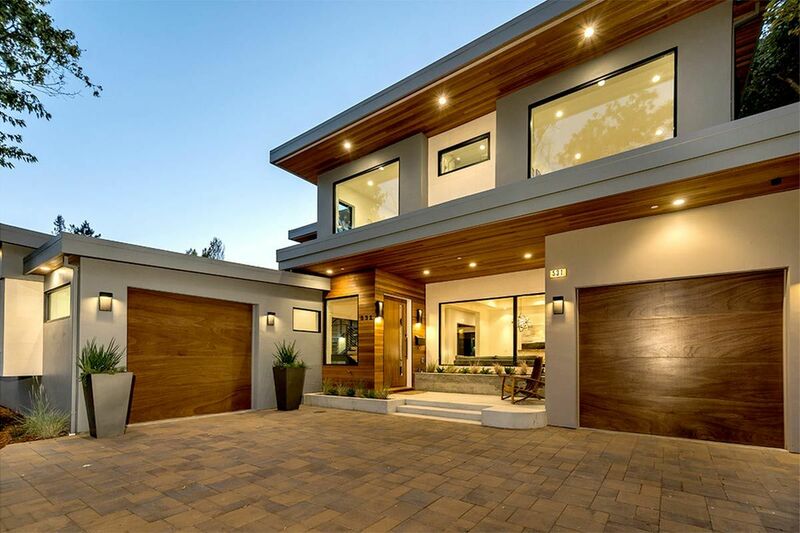 So when you're done saying "wow" we'll take a minute to explain just how green this modern luxury home is. It may look extravagant but this home has earned some of the most prestigious green awards and certifications in the Green Architecture world including the LEED-Home Platinum, Minergie-P-Eco and rigorously audited Passive House (PHIUS+) Certification thanks to expert builders Hammer & Hand along with the excellent design work from Holst Architecture. 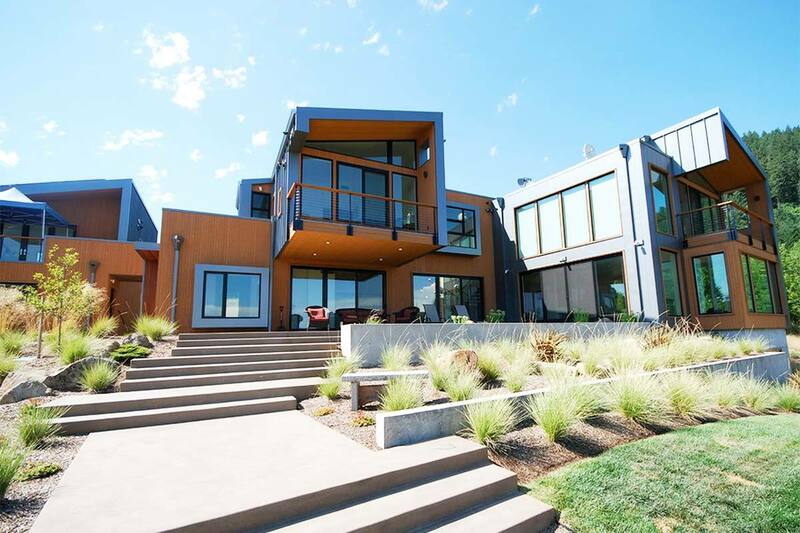 This is also a great example of a stunning home with a beautiful view as it sits high up on a hill overlooking the vineyards of Yamhill County, Oregon. With its many efficient windows you're never lacking a view and as you can see this home is fitted with all the finest finishings! PIQUE took a unique approach to making this home net-zero for energy use. 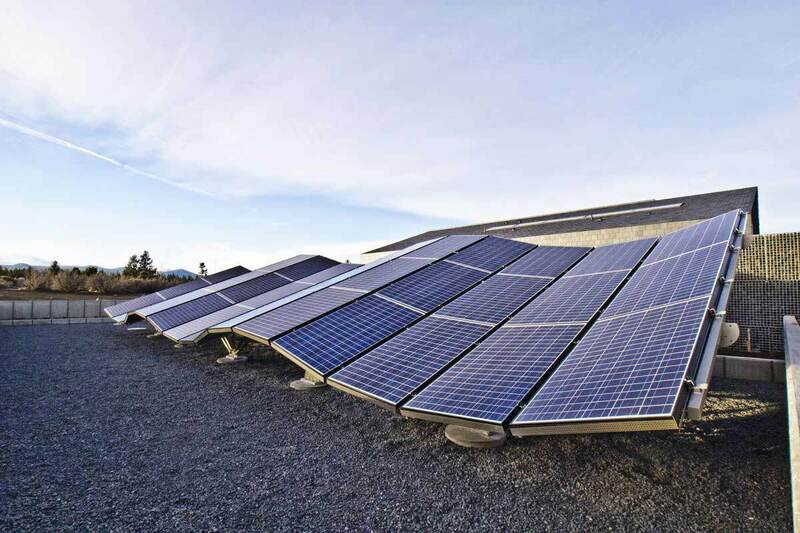 Using photovoltaic panels (siding and roof panels made of volcanic materials) they are able to efficiently maintain the temperature of the home just using natural light and shade. 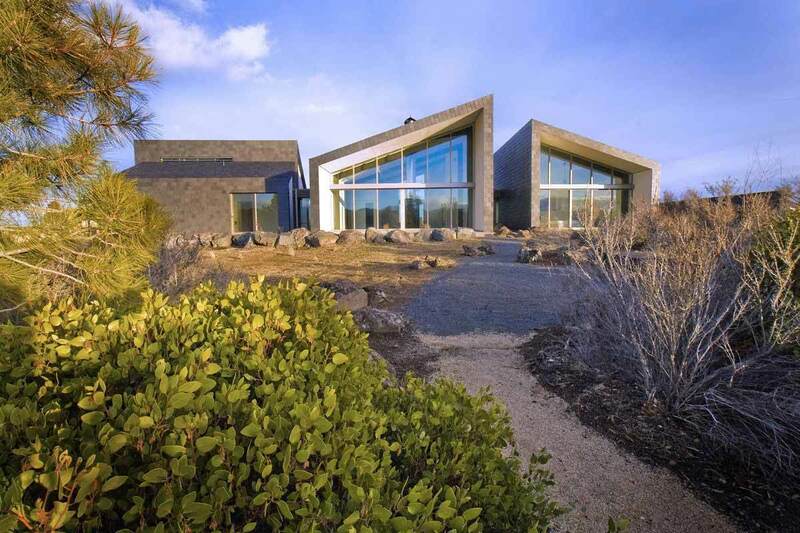 Other features like ground source heat-pumps and solar panels put this home into a category of eco-homes unto itself. Timberline Construction and River Roofing allowed for a magnificent array of solar panels to be on the flat section of the roof line and while there are pros and cons to solar energy they use it very intelligently to offset energy costs and the home's overall footprint. Clients here wanted a low maintenance home suited to all of Portland's four seasons. 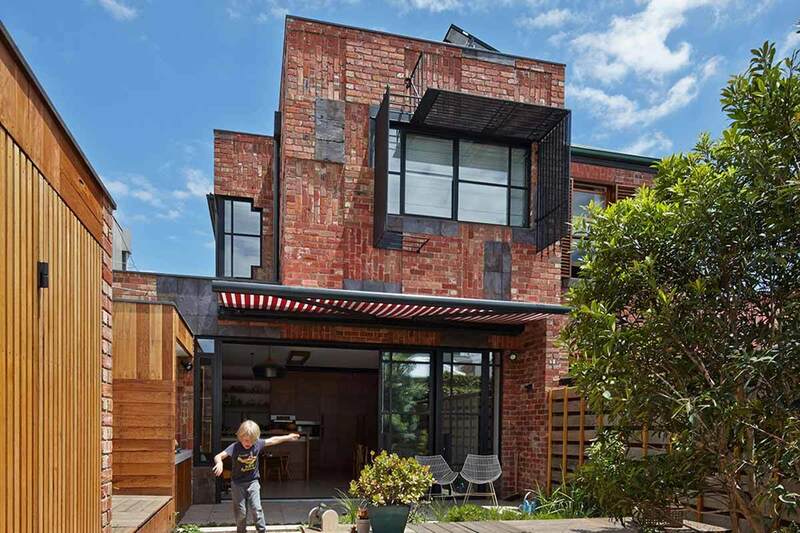 Yet another green home that spares no luxury features. A partially-covered dining terrace adorns one side of the home while the rest has uninterrupted views from floor-to-ceiling windows. 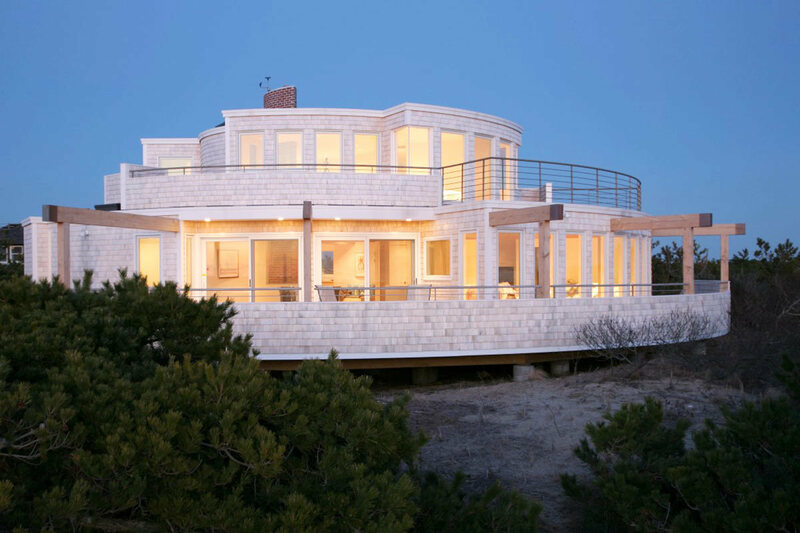 Rainwater harvesting, solar hot water heating and individual room controlled HVAC are just some of the sustainable features included in this home by Giulietti | Schouten Architects. Read about our favorite Smart Home Products of 2015. This rustic retreat has all the latest in green home technology. A vertical wind turbine is prominently featured at the front of the home while hot water is provided by solar panels. Photovoltaic tiles provide backup energy and power their electric car's charging station with power. Lastly a geo-source heat pump cools and heats the home. 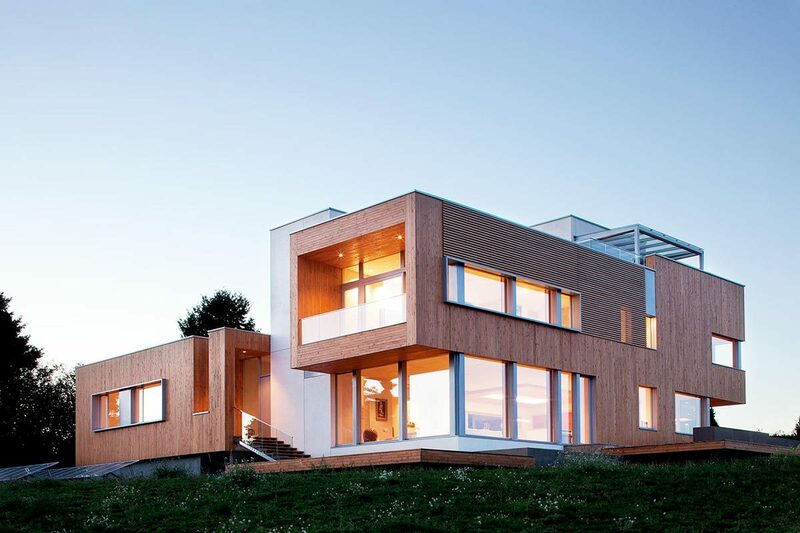 We also love the combination of modern metal and warm wood siding. Inside we find warm hardwood flooring mixed with concrete, another nod to the modern cozy aesthetic we find outside from 2fORM Architecture. Beautiful private lake views are provided by efficient windows and the end result is a home which is both contemporary and classic. 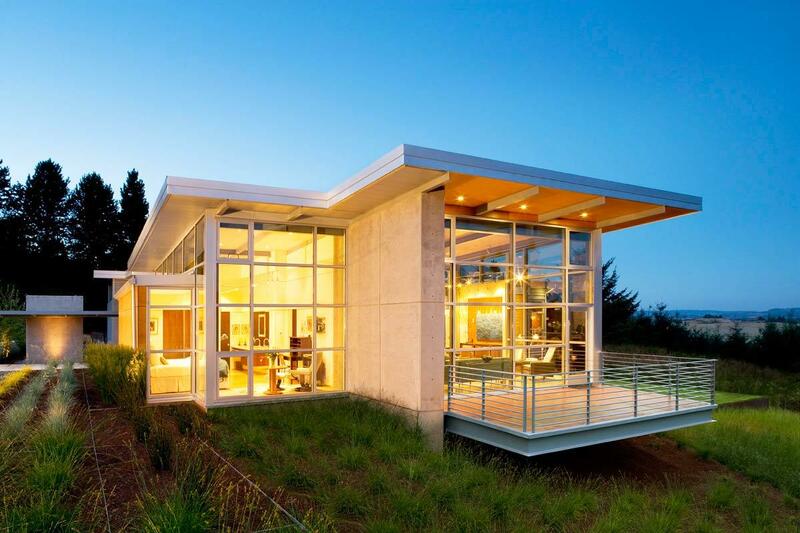 Scott Edwards Architecture is one of the premier firms in Portland and one of the foremost green architecture firms in North America. 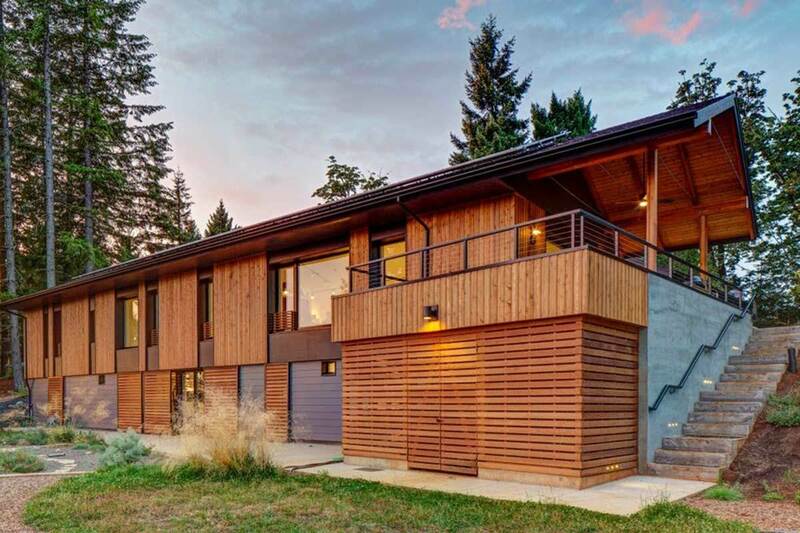 This 4400 square foot home earned LEED, Passive House, Zero Energy Ready Home, Earth Advantage Homes Platinum and Energy Star certification making it one of the most accomplished green homes in the world. 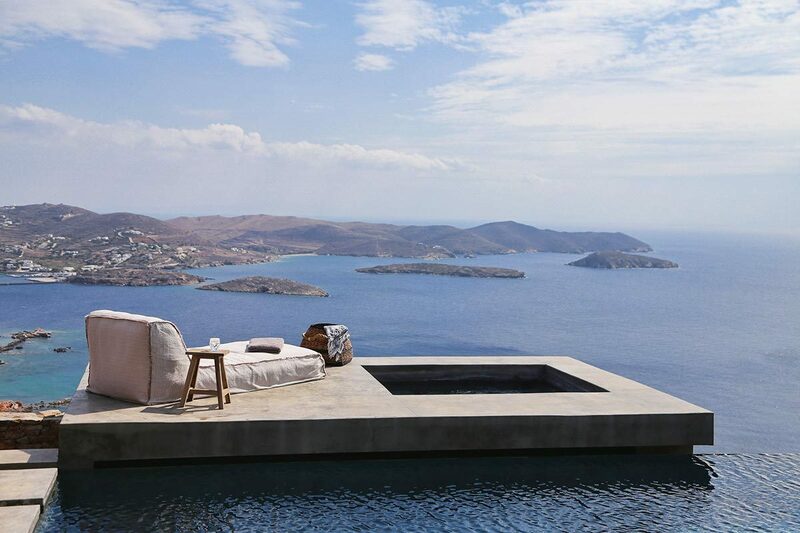 The team at SE|A designed this home to have a simple, practical form with most of it's fronting facing the expansive view. An oversized deck with roof coverings allows for a seamless transition from the interior to the outdoor space. 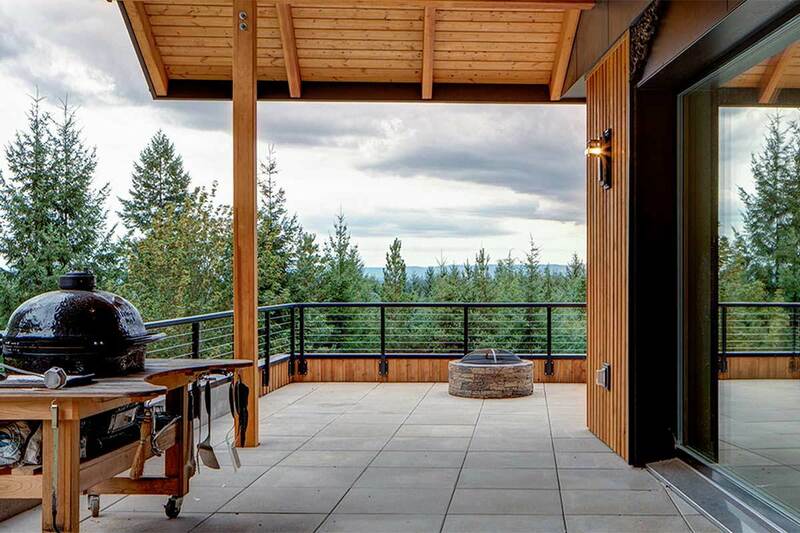 Wouldn't you love to cozy up by the outdoor fire pit and take in that view!